When we design a new solution, we put all our efforts in seeing the world through your eyes … This is why the new FLATSCAN XS range is entirely designed around you. 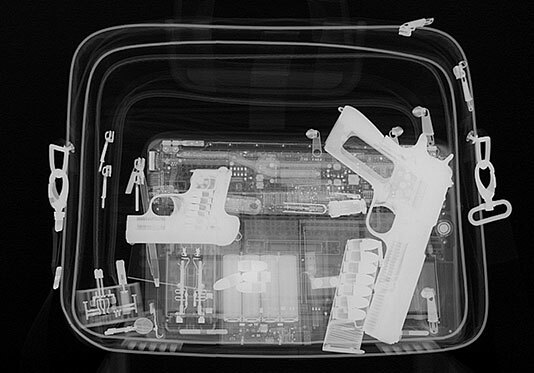 Combined with our unique constant potential x-ray sources CP120B – CP160B and their reduced focal spot, the new FLATSCAN XS range delivers sharp, clear and detailed images of any object you wish to inspect at unbeatable speed. Whether it is on the battlefield, in a crowded airport, at a busy checkpoint, or in the most luxury hotel. … we will always be by your side! By using the very latest “free of memory effect” nanophosphate battery technology, the FLATSCAN30 can be used for hours and captures 100 images before it requires a new charge. Furthermore, to avoid unexpected disruption, the state of the battery is displayed in remaining hours onto the PC software. 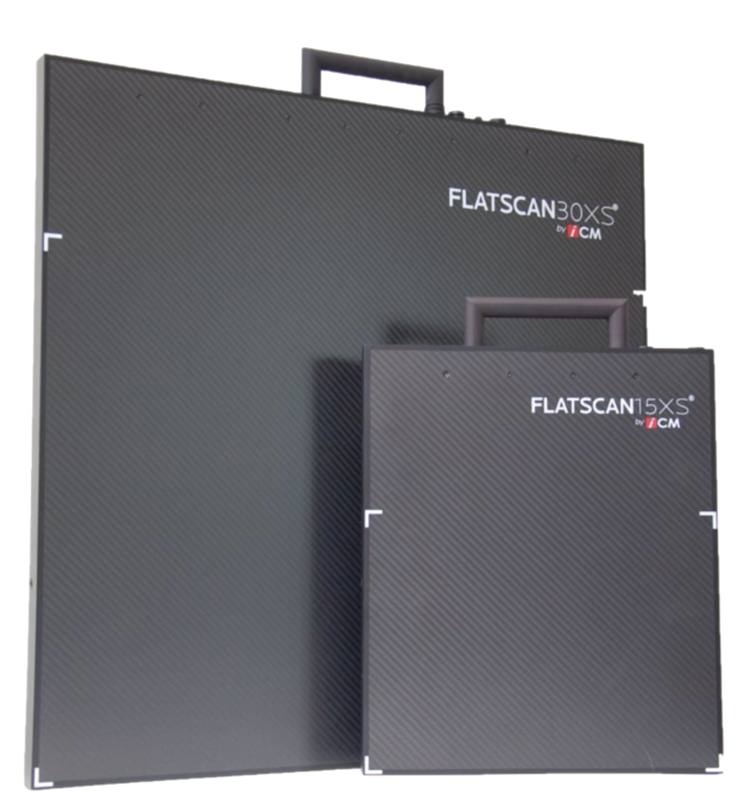 As a hardware and software option, the FLATSCAN30 XS differentiates organic and non-organic material in as fast as 5 seconds capture. The user-friendly multilingual interface allows the operator to take and process his first pictures after just a few minutes training. The thumbnails bar is particularly helpful to visualize the different images taken during the operation. Moreover, the database-oriented storage system makes it possible to annotate, store, classify and retrieve images in a very intuitive way. The second generation of the E.O.D. scanner has its performances boosted by the latest state of the art technologies. By using the very latest “free of memory effect” nanophosphate battery technology, the FLATSCAN30 can be used for hours and captures 500 images before it requires a new charge. Furthermore, to avoid unexpected disruption, the state of the battery is displayed in remaining hours onto the PC software. Within even smaller sizes than first generation, its active zone has been increased to 30’’ diagonal enabling inspections in just one scan and avoiding the operator to expose himself to threat a second time. Furthermore, the FLATSCAN30 is now an exclusive “3-Edge” system allowing objects to be fully scanned up to the extremity of the three (3) FLATSCAN30 edges. The FLATSCAN30 has 768 units of 800 µm photodiodes (1,536 units of 400 µm optional), which are mounted on 12 chips. In case of dead pixel, every chip can be individually, simply and inexpensively replaced instead of being obliged to scratch the whole equipment as it is the case with 2D flat panels. 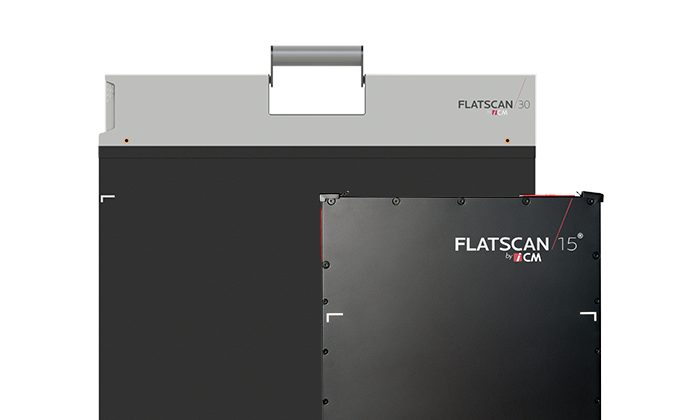 As a hardware and software option, the FLATSCAN30 differentiates organic and non-organic material in as fast as 5 seconds capture.